Asus has recently launched its Zenfone 3 series of smartphones in India. 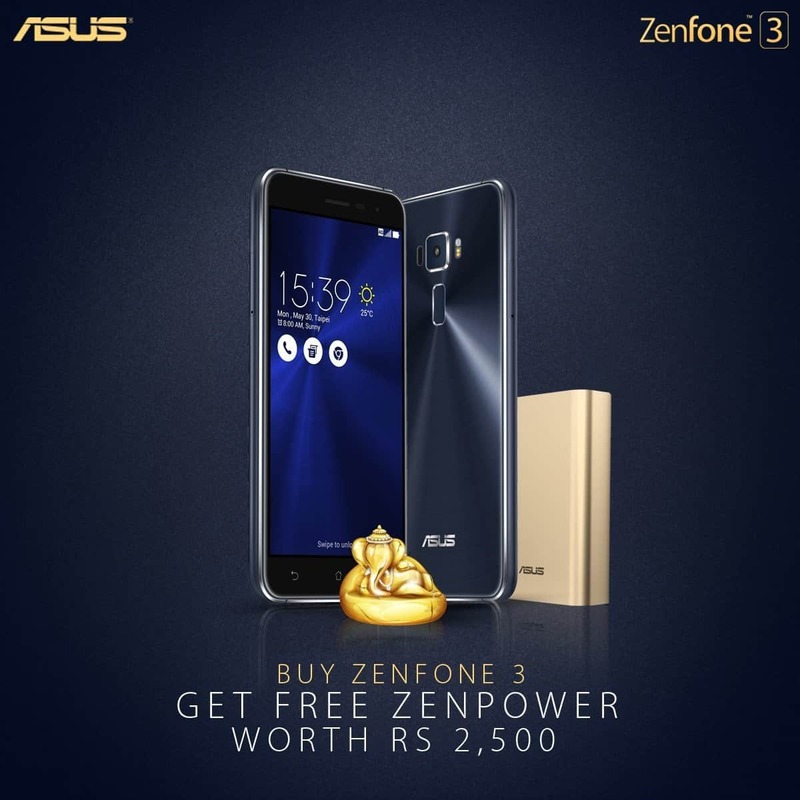 Now during this Ganesh Chaturthi, ASUS is coming to celebrate the festival with its customers and fans by offering exciting gifts with every purchase of Zenfone 3. 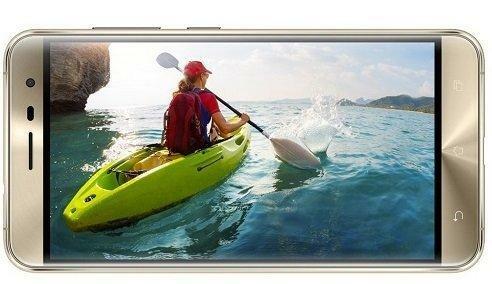 Asus has proved itself by releasing its best incredible Asus Zenfone 3 series in the Zenvolution recently. Zenvolution has laid a great platform in India to give access to Asus stunning new line-up of smartphones. The remarkable Zenfone 3 family features four smartphones, that are feature-packed and are carved with premium design to empower the best user interface to its users. The four smartphones includes: ZenFone 3 is a premium design smartphone, that is designed for best performance for its users; ZenFone 3 Deluxe, the new flagship ASUS smartphone with advanced camera technology that takes mobile photography to the next level; ZenFone 3 Ultra, an incredibly powerful smartphone with a 6.8-inch Full HD display that excels at entertainment; and ZenFone 3 Laser with an ultra-fast 0.03-second laser auto-focus designed for keen photographers. It was announced officially by Asus that 50 lucky consumers, who buy the Zenfone 3 ZE520KL and ZE552KL variant will get the chance to win ASUS Zenpower for free. The selection of 50 lucky customers will be selected on the basis of a lucky draw that happens every day. So 50 lucky consumers will win a free ASUS ZenPower worth INR 2,500. The offer is valid from September 1st to September 7th. So why waiting? Hurry and have a chance to grab ASUS Zenfone 3. 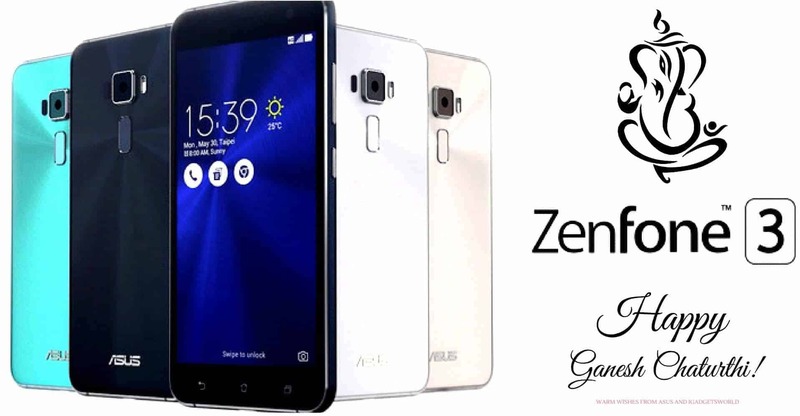 Why to Choose ASUS Zenfone 3? ASUS ZenFone 3 is a feature-packed smartphone that brings premium design and similar performance to its users. It comes in 5.5-inch Full HD (1920 by 1080) Super IPS+ display. 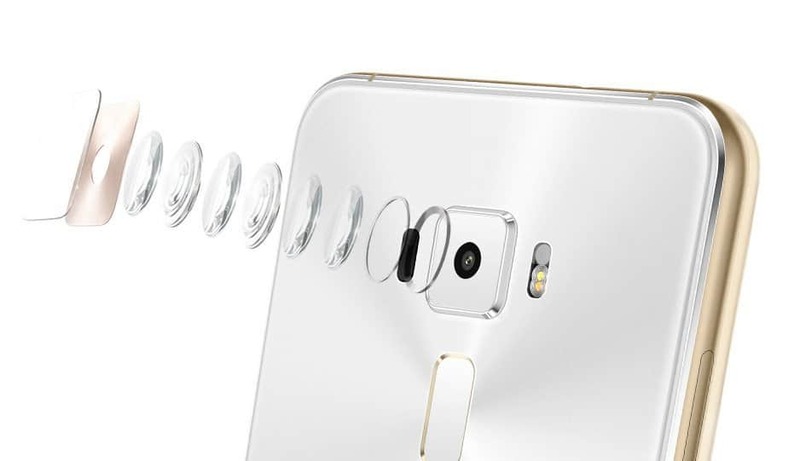 The unique feature of Zenfone 3 is its narrow bezel and very compact body. It is protected at its front and Rear with the scratch-resistant 2.5D Corning® Gorilla® Glass that gently curves to make the edge of the phone completely smooth. How to win ASUS ZenPower on this Ganesh Chaturthi? So are you excited to grab free ASUS ZenPower on the occasion of Ganesh Chaturthi? In order to be eligible to win the ZenPower power bank, consumers can purchase the ZE520KL or ZE552KLvariant of the Zenfone 3 from all leading e-commerce and ASUS authorized retail partners, and successfully complete the registration & verification process. The consumer could register his/her product details like the invoice number, date of purchase, dealer name, the location of purchase, product serial number & contact details. Click here to Register. Winners of the offer will be announced on September 30th, and will get duly notified by ASUS on email. The last date to registration for the offer is September 12th. So why late? Hurry and grab your own ASUS Zenfone 3. Hope you liked our post regarding the offers and deals of ASUS Zenfone 3. Please post your comments below.